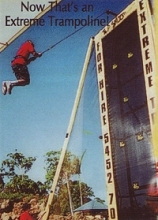 Experience all the adventure you can handle at Queensland's newest theme park! 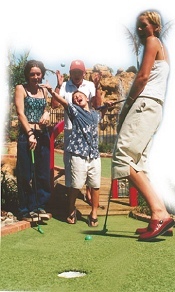 Two 18 Hole Adventure Golf Courses (1 Undercover) - championship golf to test your skills to the limit! 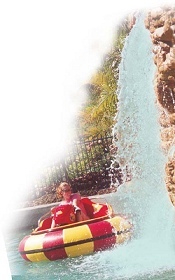 Bump the boats and spray your mates on the Sunshine Coast's only Blaster Boats! Video Arcade - the planets hottest video entertainment for the whole family! Indoor Climbing Wall - climb with the latest hi-tech safety gear-suits all ages, limited only by attitude! Cafe - tantalise your taste buds. Parties, functions & Groups - Birthdays, Christmas, Special Occasions - easily organised! Corporate Events - the perfect place to putt some fun into your business!